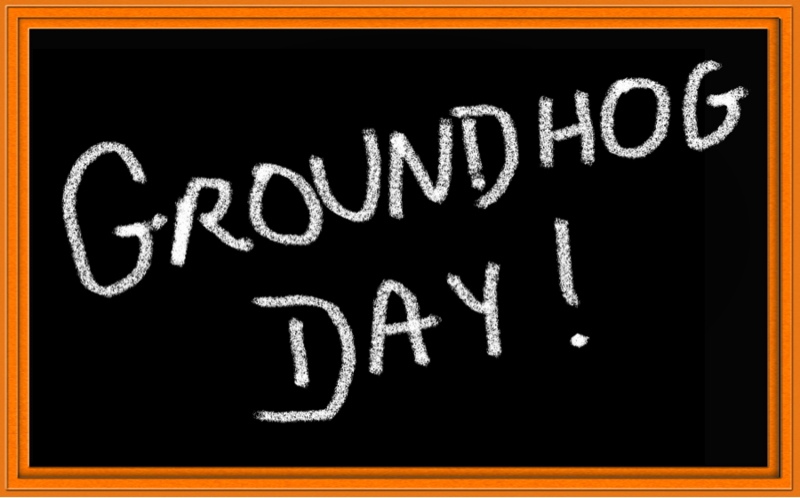 Are You Having A Ground Hog Day with Money? Bills, not making enough money, financial stress!! Yikes! Do you keep waking up to the same old story with your money? Remember the movie Ground Hog Day with Bill Murray? Bill’s character wakes up to the same old frustrating, stressful, boring day over and over until he realizes he’s the common denominator and perhaps there’s a lesson he needs to learn to be able to move on? I talk to women every day who are stuck with their money – working too hard with not much to show for it, or making enough, but still not feeling in charge of it. Women are particularly vulnerable around their money. 1) Retire in poverty at twice the rate of men. 2) Make 78 cents on the dollar compared to men (yes, still)!! 3) Don’t ask for raises or negotiate because they undervalue their worth. Sheryl Sandberg, COO of Facebook was going to take the first offer from Mark Zuckerberg until her husband stopped her. She rethought it and ended up with part of the company!! If you’re tired of the money story you’re living sign up for a FREE 15 Minute Phone Money Strategy Session to figure out what’s not working and fix it sooner rather than later. 4) Get help if you need it – from your boss, mentor, or a coach. “If nothing changes, nothing changes,” is a favorite quote of mine by Ernie Larsen, an addiction expert. Changing your financial future depends on it.